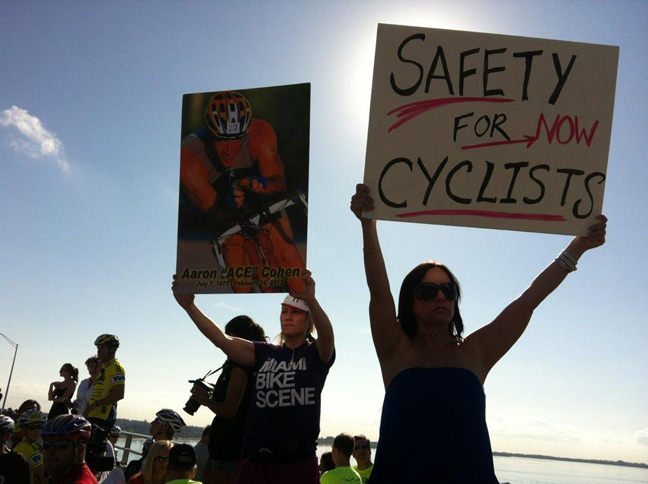 Over a thousand cyclists gathered earlier today on the William Powell Bridge to pay tribute to Aaron Cohen. Due to the large crowd many attendees could not make it to the front of the group to hear his friends and family speak. 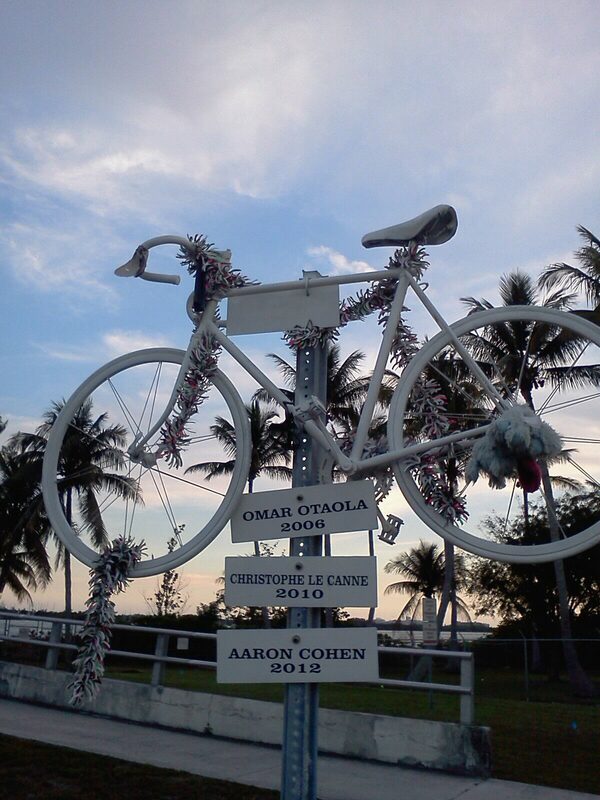 The first two touching videos below capture the speeches, it's evident from watching them that Aaron "Ace" Cohen inspired many and was loved dearly by all of his friends. The third video is footage of the ride from Bayfront Park to the Rickenbacker. That last photo says it all. How many more must be added to this pole before something fundamentally changes?